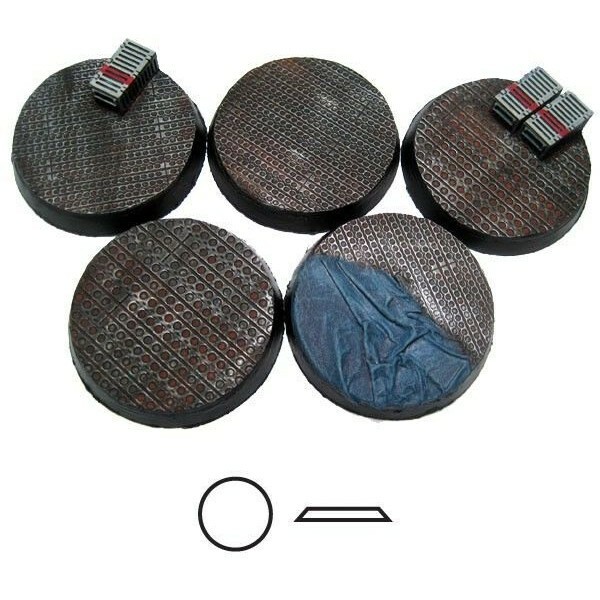 5 pressure cast 40mm resin bases in the "Iron Deck" theme featuring steel plating, mesh and rivet..
A set of ten 25mm pressure cast resin bases in the "Corpse Fields" theme, featuring dessicated co..
A set of five 40mm pressure cast resin bases in the "Corpse Fields" theme, featuring dessicated c..
A set of five pressure cast 04mm bases in the "Steel Plating" theme. 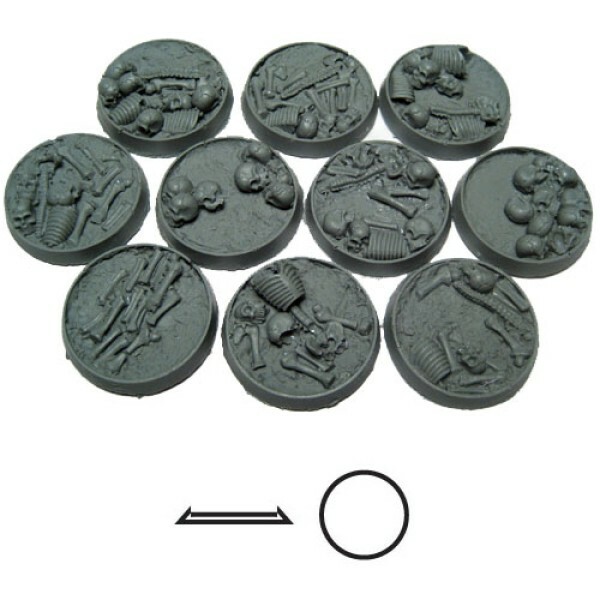 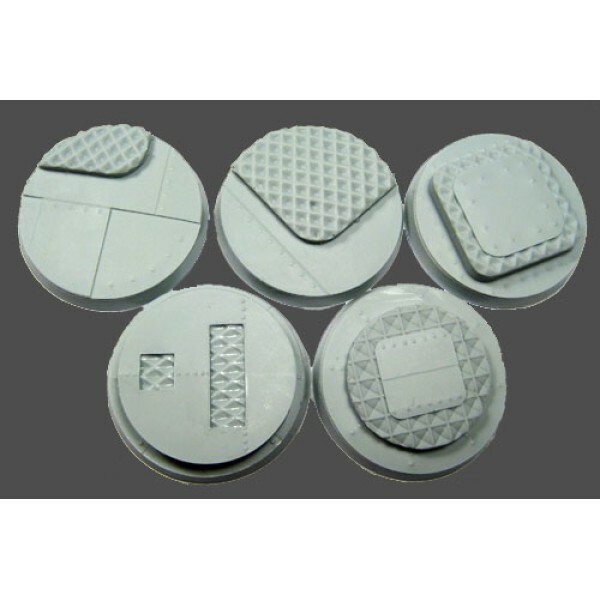 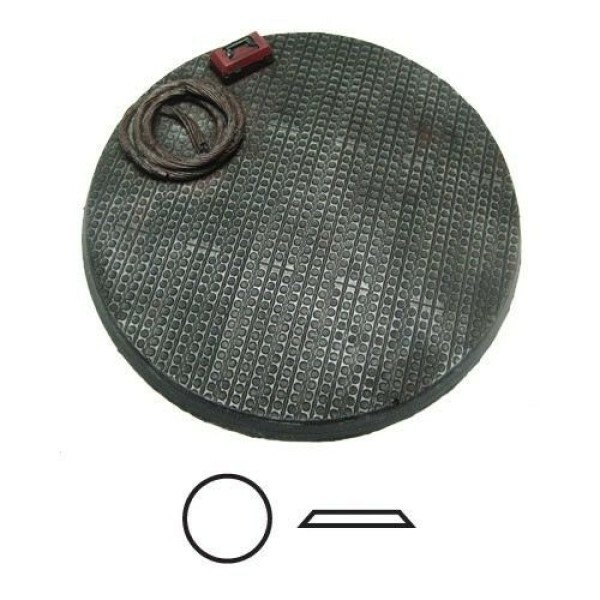 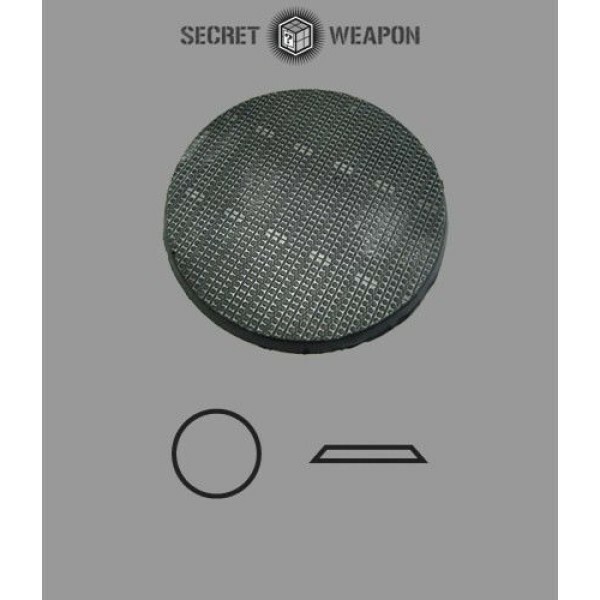 These bases feature dec..
A single 60mm pressure cast bases in the "Steel Plating" theme. 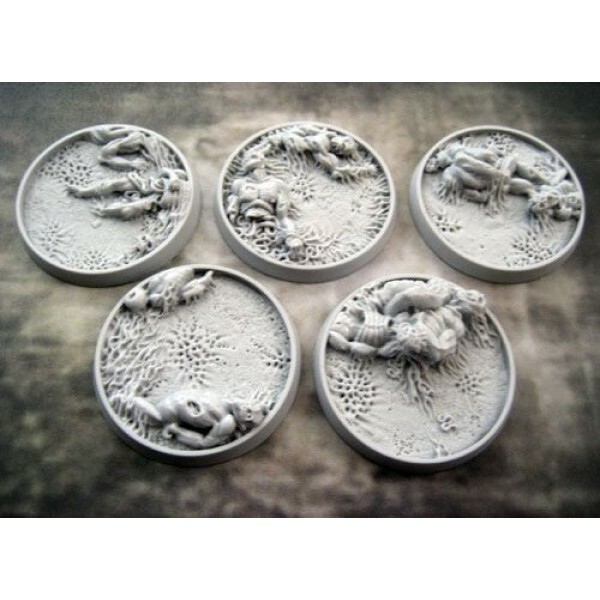 These bases feature pierced-..